Buttery sauces, grilled meats and seafood, crunchy bacon, salads with avocado and full fat dressing are your everyday meals. Common side dishes include veggies au gratin, fried cauliflower rice, zoodles, rich creamy casseroles or quiche. During Induction, most of your calories will come from healthy fat. One third comes from protein and 10% (or less) from net carbs (sugar carbs). 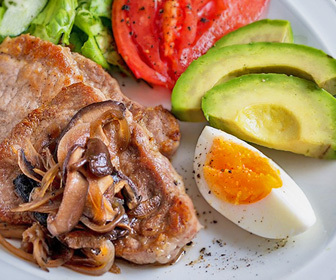 Eat any item on the Atkins printable food list – limiting your net carbs to 20 grams or less per day. Net carbs are total carbs minus the fiber grams. Fiber carbs don’t spike blood sugar or influence insulin in negative ways. Include plenty of foods high in fiber carbs on your Induction list. The Atkins Diet program offers a free, simple resource for planning your first week of Induction meals. Using the official Induction meal plan is not a requirement for great results, but it does have easy, inexpensive ideas. The items on the Induction Foods list are your go-to items for the week. Here are the details of the items featured on the printable Atkins Induction low carb foods list. You may eat any item on the Induction foods list as long as you don’t eat more than 20 net carbs per day. Most fish, poultry and meat generally do not contain carbohydrates. The exceptions are processed bacon and deli meat, which often have added starch as binders. Enjoy cold-water fish and other low carb Induction foods containing omega 3 fatty acids. Eggs are a staple of any Atkins Induction food list. Add mushrooms, onions and peppers with imported cheeses to an omelet. Tip: Add low carb spices for zest (some spices increase fat loss) and serve with a side of chunky bacon-feta-tomato salad. Most cheeses have less than 1 gm of carbs per ounce, but be sure to check the label. We are allowed 3 to 4 ounces of most cheeses every day during Atkins Induction, including cream cheese. The exceptions: Cottage Cheese, Farmer’s Cheese and other fresh/raw cheeses. These cheeses do not apply to the 3 to 4 ounce rule because they only have trace amounts of carbs. 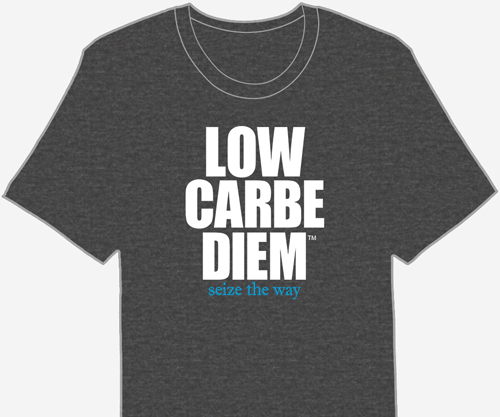 12 to 15 net carbs each day should come from low carb vegetables. Choose the lowest carb veggies from the Atkins list, and you’ll be surprised how much you can eat. There are no net carbs here, but a single serving equals 1 tablespoon. Focus on olive oil, especially virgin or extra-virgin. Basically, here’s the rule: If it’s not on the Induction foods list, you guessed it – it’s not allowed. Dairy products (milk, coffee creamers, yogurt) – except for cheese and heavy cream in limited quantities.